As St. Patrick’s Day approaches, many people are looking forward to healthy (size-wise) portions of corned beef, cabbage, Irish whiskey and Guinness. 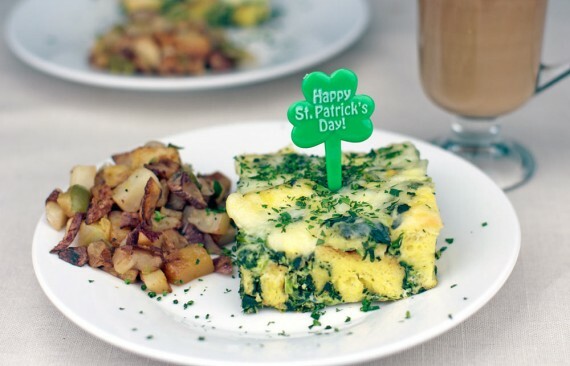 While I plan to partake in all those great things, I’m most excited about St. Patrick’s Day breakfast. 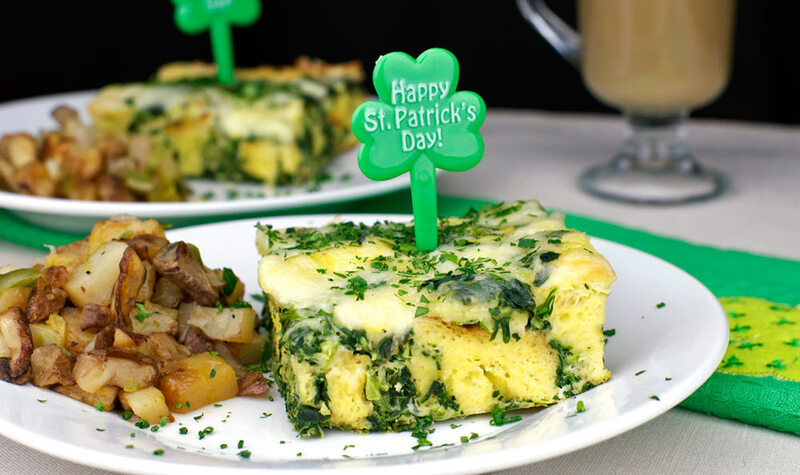 Every year, I try to find new ways to incorporate green into my omelets, pancakes, waffles and other morning dishes. 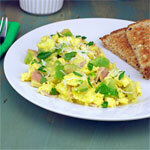 One of my St. Patrick’s Day breakfast dishes was so green that it was literally unbelievable. 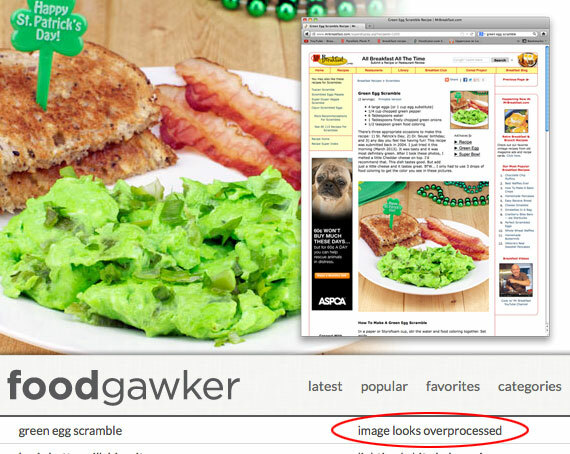 I submitted a photo of my Green Egg Scramble to the popular food picture site FoodGawker and they wouldn’t accept it. They said it “looked overproccessed.” I can see how they thought that, but seriously, it was food coloring and green peppers – not Photoshop. 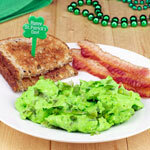 Today’s featured St. Patrick’s Day Breakfast recipe is festive but not quite as over-the-top. 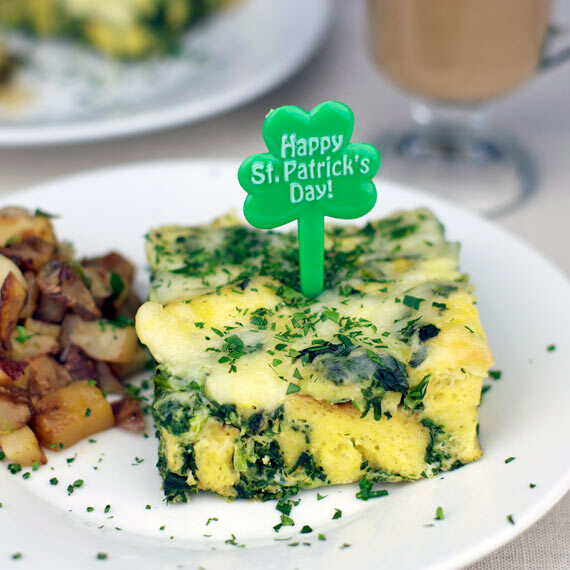 It’s a basic breakfast casserole with accents of distinct green from spinach, green pepper, green onion, chopped jalapeno and a garnish of parsley. 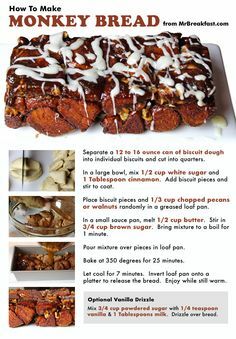 You can get the original, printable recipe here, but please note in the comments how I included a few extra ingredients to add in more green. 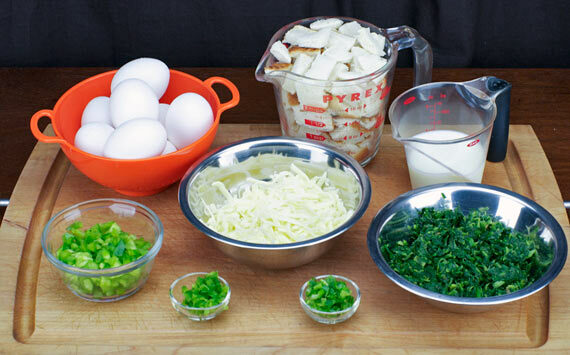 The ingredients for this Green Egg Casserole are eggs, pieces of bread, milk, Monterey jack cheese, spinach, green pepper, green onion, jalapeno and parsley. Preheat the oven to 350 degrees. 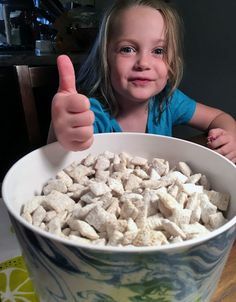 In a large bowl, beat the eggs and milk together. 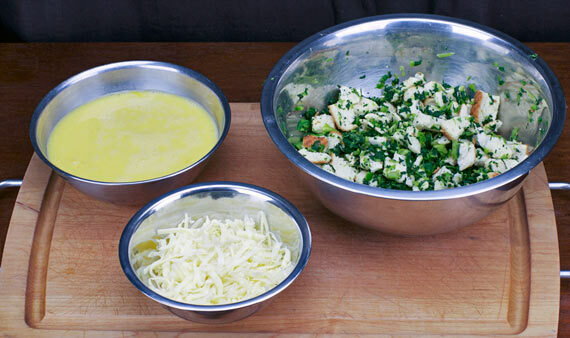 Add all of the remaining ingredients (except the cheese and parsley) and mix well. You don’t have to use multiple bowls like I did. 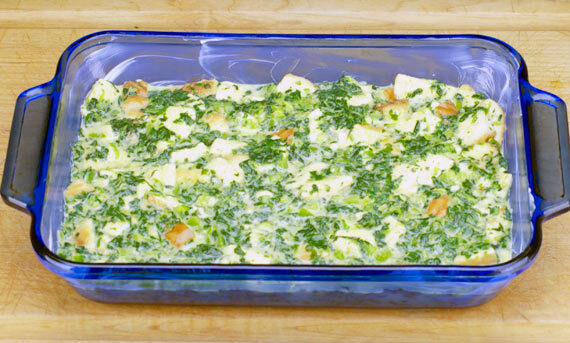 Pour the ingredients from the mixing bowl into a lightly greased casserole dish. Bake at 350 degrees for 15 minutes. 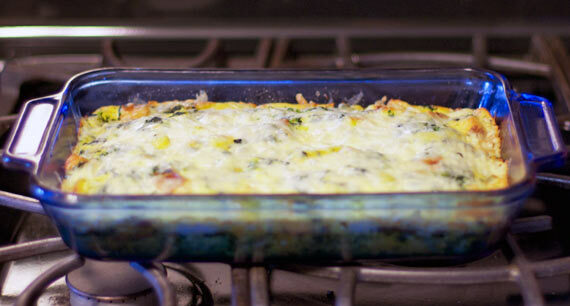 Then, sprinkle cheese over the top and bake 20 minutes more until the egg is completely set. You can test for doneness with a toothpick. 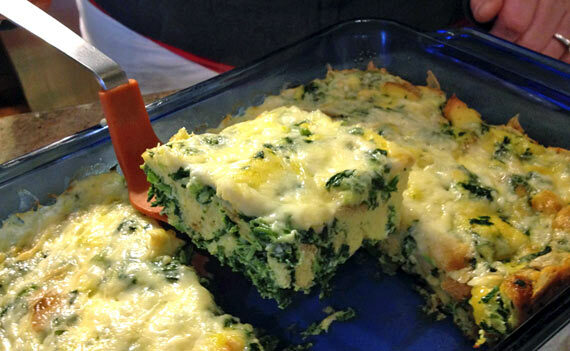 Insert it into the center of the casserole. If it comes out clean, the casserole is done. To serve, cut into squares and garnish with lovely green chopped parsley. To make this breakfast even more appropriate for St. Patrick’s Day, do what I did. 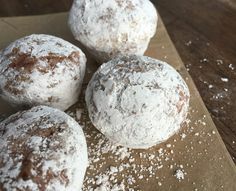 Serve it with Potatoes O’Brien and coffee with a shot of Bailey’s Irish Cream. If you happen to have little plastic clover sticks that say “Happy St. Patrick’s Day”, awesome! Help! There's A Monster In My Oatmeal! 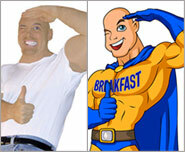 my birthday is St. Patrick´s day and since it is a Sunday I was thinking Key Lime oatmeal for Saturday breakfast and one of the above for Sunday breakfast. Great ideas! I love your weekend menu. Happy Birthday! And Happy St. Patrick’s Day! Ooooh! I’m definitely making that Sunday. Do you have a recipe for the potatoes? They look delicious.